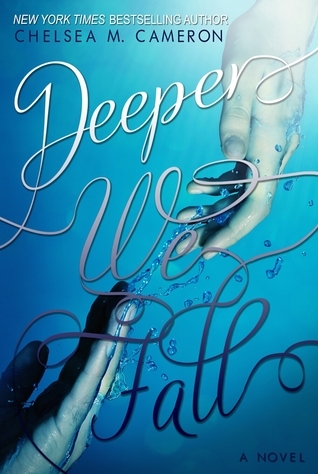 We are one of today's stops on the Deeper We Fall Blog Tour hosted by Xpresso Book Tours. There's an excerpt and giveaway for a Kindle. Zack is cruel, selfish and constantly rubbing what happened to her friend in Lottie's face. Zan is different. He listens to her awkward ramblings. He loves "To Kill a Mockingbird" as much as she does, and his dark eyes are irresistible. His words are few and far between, but when he does speak, she can't help but listen. The trouble is, Zan was the driver in the accident, and now Lottie's discovered he lied to her about what happened that night. Now she must decide if trusting him again will lead to real forgiveness, or deeper heartache. I knew I would see her eventually, I just didn’t think it would be so soon. I hadn’t even had time to rehearse what I could possibly say to her if we ever bumped into each other in the laundry room, or the dining hall. If I’d had time, I might have come up with something better. Something that didn’t make me sound like a dumbass. I knew it would happen sooner rather than later, given the fact that her brother was my neighbor. I’d seen them putting up the names on the doors, and heard him moving his stuff in, and I’d stayed in my room like a coward so he wouldn’t see me. I didn’t really feel like getting punched in the face on my first day. I also realized that Will’s roommate was the guy who had offered to help me with the weights earlier. He seemed nice, but I knew as soon as he figured out who I was, his attitude toward helping me was bound to change. I hadn’t seen her in two years, but there was no mistaking Charlotte Anders, even though her hair was longer and she looked like a woman instead of a girl. Her sadness was as palpable as it had been when I’d seen her after the accident. And her rage. I could feel that, too. Her eyes weren’t dead anymore. They snapped on mine like lightning, and the world stopped moving for a moment as I was yanked back in time to the night of the accident. Back to when I was just a boy who had a crush on a girl and couldn’t get up the courage to talk to her. But things had changed since then. Now the biggest emotion I felt when I looked at her was guilt. The other feelings were still there, too, and they all mashed together. What was guilt about the accident and what was part of the crush that was leftover and what was this urge to get her to see me as someone else, I couldn’t separate. She’d flinched when I’d used her full name, as if I’d slapped her in the face. Just a few months ago, seeing her would have led me on another downward spiral, but I couldn’t do that now. College was supposed to be my fresh start. A new chance. A place to be around people who didn’t know who I was, didn’t make assumptions about me based on what they had heard. I wanted to say something to her. So many somethings, but all I could tell her was that I’d graduated a year early from school. The girl with the angry blue eyes had completely disarmed me. Another Rumi quote spun through my brain: what you seek is seeking you. The last thing Katie Hallman needs is another guy in her life, but Stryker Grant is there anyway. 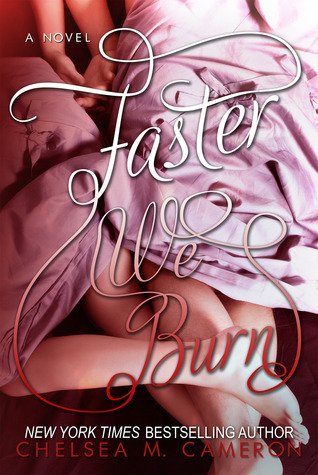 What starts out as just an escape from her previous relationship disaster soon turns into something more. Stryker gets under her skin the way no one has before, and soon she realizes she can't shake him, even if she wanted to. But is Katie ready to trust her already-battered heart to the guy who could shatter it into a million pieces? 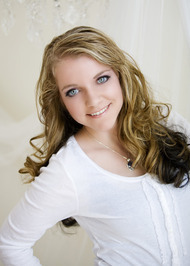 Chelsea M. Cameron is a YA/NA New York Times and USA Today Best-Selling author from Maine. Lover of things random and ridiculous, Jane Austen/Charlotte and Emily Bronte Fangirl, red velvet cake enthusiast, obsessive tea drinker, vegetarian, former cheerleader and world's worst video gamer. When not writing, she enjoys watching infomercials, singing in the car and tweeting. She has a degree in journalism from the University of Maine, Orono that she promptly abandoned to write about the people in her own head. More often than not, these people turn out to be just as weird as she is. to difficult operate then heaps a lot more. you present here. Please let me know if this ok with you. I need to read these books! they sound fantastic! going on my TBR list NOW! I love finding new authors!